What’s the punditry like in your country? Excellent, informative and insightful? Well, lucky you. In England, football matches are commented upon and summarised by a small group of highly talented professionals, their work augmented (some might say hamstrung, but I couldn’t comment) by ex-players and incumbent managers with nights off. When it works, say when ex Spurs, Newcastle United and England midfielder Jermaine Jenas conducts an interview with Jake Livermore about personal issues that nearly destroyed his career, the insight into the inner workings of the football industry is revelatory. On most other occasions, particularly when Robbie Savage, Chris Sutton or Michael Owen are involved, prayers about them getting ‘accidentally’ smashed in the head by a stray ball are offered. Occasionally, those prayers are answered. But if Match of the Day wants to keep its reputation as the most important and influential football show in the world intact moving forward, they’re going to have to up their game. 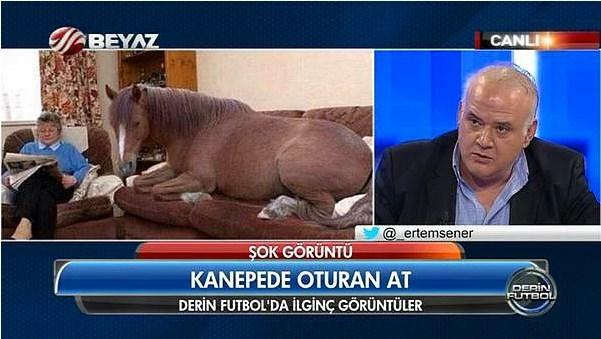 This footage, taken from Beyaz Futbol in Turkey, demonstrates an exciting new approach to football discussion. Namely manhandling anyone who disagrees with your point until they get so cross they start throwing things across the studio. And while my Turkish isn’t up to much and information about the show is scant, it seems that far from being an anomaly, this sort of thing happens fairly regularly. Actually, compared to some of the stuff these guys get up to, chucking a calculator is positively pedestrian. If K-League side Jeonbuk Motors hadn’t recently been defeated by Juju United, thus ending their unbeaten run of 33 games, I would never have come across this video of their striker Lee Dong-gook looking after his five kids for forty-eight hours on his own. And while this in itself wouldn’t have been a tragedy, I think you’ll agree that your Friday is just that little bit better now you’ve seen his daughter’s face when he promises to cook for them ‘later’ and his increasingly desperate attempts to get them to fall asleep. Bless. Now if we could appropriate this idea and flog it to a European TV channel, we could watch elite players drowning in baby sick and rocking on a gym ball until our ovaries collectively exploded. Share your match experience by taking over the Unusual Efforts Instagram account!